In this article, long time lure maker Marc Wisniewski discusses the different pony head jigs, including the Herring Head, and how to make your very own. Be sure to check out the video at the end too! Ok, so I have to admit that I am one of those bass nerds that watch the Bassmaster Classic live feed over the internet. This year while I watched Casey Ashley win the classic I paid close attention to the video of him unhooking fish. It was one particular shot on the final day that made me perk up like a dog hearing his treat bag rustled. “Wait, is that a Do-It Pony Head jig?” I thought to myself. Well, it was. Casey Ashley won the 2015 Bassmaster Classic on a lure that his dad made for him. What a story not only for a hometown hero to win on his home lake, Lake Hartwell, but for it to be done with a lure that probably cost his father a dollar to make. This is the pinnacle of the bass fishing greats armed with all the greatest high tech lures of our time and the grand prize goes to a guy fishing a simple Do-It Pony head jig tipped with a plastic fluke. For lures, this was a Cinderella story. Casey was using a 3/8th ounce Do-It Pony Head model poured with a 4/0 Mustad hook. Off the nose of the Pony Head he rigged a quality ball bearing swivel and a size 3.5 nickel willow blade. He caught thirteen of his fifteen bass limit of bass on this jig. Pony head or Horse head spin lures have been around for decades, maybe even half a century now. 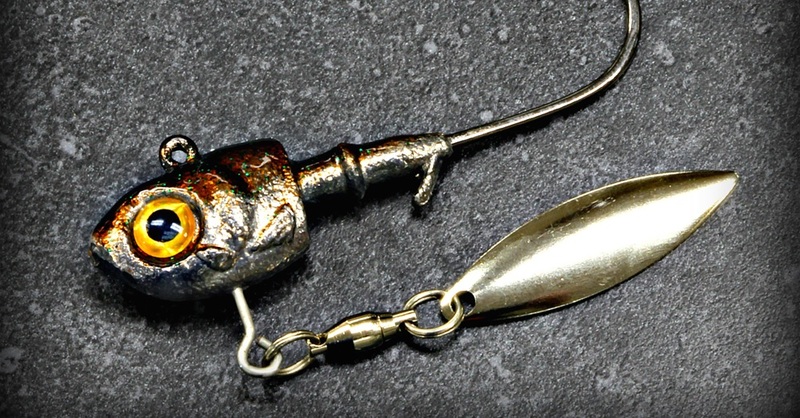 It has been a staple for crappie anglers as long as the concept has been around. This concept is a jig head that sports a rotating spinner blade directly under the body of the jig. 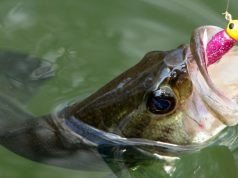 Although the crappie sized models have “accidentally” caught bass their entire career, in recent years bass fishermen have discovered that larger models carrying bigger plastics are a pretty deadly addition to their bass arsenal. Well, like everything in life we strive to make things better and perfect and tweak an already great concept. That’s exactly what Do-It has done with the classic “under spin” type lure in their new Herring Head jig mold. While the Do-It Pony Head and Horse head jigs are still great producers, the Herring head jig has been put together with the most discerning bass aficionados in mind. For starters, the new Herring Head features it’s name-sake…a super realistic Herring or baitfish shaped head. Secondly, this was made with gamefish in mind so this lure can handle a large quality hook. It was designed for the sticky sharp and super strong Gamakatsu 604 hook, but it will also handle other quality hooks such as the Eagle Claw 635 for those who are after stripers, Great Lakes fish, or even salt water species. One of the great improvements to this lure is the wire form that protrudes off the chin of the jig. This simple feature assures that the blade is well away from the body allowing a free spinning blade no matter what dressing you chose for the jig. When Casey took the Classic by storm he commented that the key to his bait’s success was that the blade was spinning all the time no matter what speed the lure was retrieved. Remember that the 2015 Classic was blasted with record cold, plummeting water temperatures, and bass in as much shock as the South Carolina anglers and fans. Casey was slow rolling his pony head near the bottom in as much as 40 feet of water where these fish had hunkered down around schools of herring. Use a high quality ball bearing swivel so the blade spins with the slightest movement. My personal experience with this Herring Head mirrors Casey’s sentiments; use a high quality ball bearing swivel on this bait. For one reason they last longer and secondly, they spin at the slightest movement, which is the key to this bait. If you have to rip it or pull it sharply to get the blade spinning, you aren’t fishing this correctly. Use either size 1 or size 2 ball bearing swivels on all the weight sizes of Herring Heads. Make sure they have a split ring where the blade can be added and do not accidentally purchase swivels with welded rings. That takes us to the spin part of the “underspin”. While early Pony Heads and Horse Heads normally featured tiny Colorado blades, the new trend in this type of bait is a willow blade. Willows spin very easy and offer the least resistance allowing a lure like this to be fished deep without creeping up near the surface. The new Herring Head mold makes lures from 1/8th ounce up to 5/8th ounce. The ¼, 3/8th, and ½ ounce heads work well with a size 3.5 willow. The 1/8th is best with a #3 blade. The largest, the 5/8th ounce, will also work with the size 3.5 but can also handle a #4 willow if desired. Plain nickel, gold, polished brass, or copper blades are readily available to compliment any color scheme. If you really want a custom look consider painting a blade with the same paint you use to color the head. Heads can be dipped, sprayed, or hand painted. The easiest is Component Systems powder paint. Heat the head up over a candle and swish it through the powder paint and you are ready to fish. Bake the head at 275 for 15 to 20 minutes if you want the finish rock hard. As mentioned earlier, the Herring Head boasts classic baitfish features including recessed eye sockets which make adding eyes a breeze. The smallest Herring Head takes 2.5 mm eyes, the middle three sizes look great with 3mm eyes, and the 5/8th ounce will take a 4mm eye. 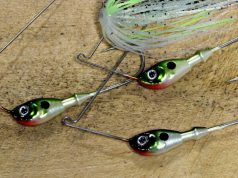 Whether you choose a flat eye or a 3-D eye, or even go old school and hand paint them, the eye really finishes this jig off and makes it look professional. What Do You Dress The Jig With? The sky is the limit. Plastics are the most popular and with the blade well away from the body even twister type tails are an option. Casey and most bass enthusiasts like a fluke type tail in the 3” to 4” range. They have no wild action but remember that this is a finesse tactic and if you watch a school of shad, alewives, smelt, or herring they don’t swim in a pronounced manner. The spinning blade gives the illusion of movement. If you want more movement a swim bait is another excellent option. And for maximum movement a 3” or 4” twister tail works great as well. And don’t overlook tying natural bucktail for a true finesse look and feel. The Herring head is very versatile. It can be worked fast over mid depth weeds although it is not a heavy cover type lure. It shines in deeper situations where bass, pike, walleyes, stripers, trout, salmon, and saltwater species are feeding on open water baitfish. Weed lines are perfect. On deepwater humps or flats, it’s outstanding. It’s really at home in 10 to 40 feet of water. Cast it out and let it get to the bottom or count it down to a desired depth. Now DON’T jig it… swim it. Slowly turn the reel handle pausing for a second or two after two or three turns. I keep my rod at three o’clock so when you feel the strike you are in position to set the hook. Some of my most extensive use of this bait has been on Lake Michigan trout where they feel like the lure is getting heavier and heavier. They come up behind it and engulf it. Not an earth shattering strike so be ready. Casey Ashley really made 2015 the year of the underspin jig and brought this technique to the fore front of the fishing world. Do-It has really focused their attention to the bass, walleye, pike, and Great Lakes anglers with the design and release of this new jig. Make your 2016 a classic winner with the new Herring Head Jig. And as always… it’s so sweet to catch a fish on a lure you made yourself. Shop all Do-It Jig Molds today and get started!